"What to Read Now: War Narratives"
In this nonfiction book, Margaret MacMillan narrates history through the lives of those responsible for World War I. The characters and cousins could populate a fiction collection with their dramas, imaginations and absurdities. MacMillan offers an inside view, revealing the people and stories behind the politics and events that led to a war many feel—and felt at the time—shouldn’t have happened. A veteran of the US Marine Corps assembles a dozen short stories and first person narrators—soldiers on the front lines, in the rear, at desks, with their family, friends, wives and girlfriends back home. The narrators’ voices are witty, unflinching, nostalgic, and the stories make the reader laugh, cry and wonder how a generation honed on this conflict will return to life as it was. —November 11: The hundredth anniversary of World War I was perhaps the most significant. Since I wasn’t alive then, I have no personal memories, but I have an appreciation of its significance in all the years that followed and influenced my life. I also appreciate the misreading and historic mistakes that led so much of the world to war. 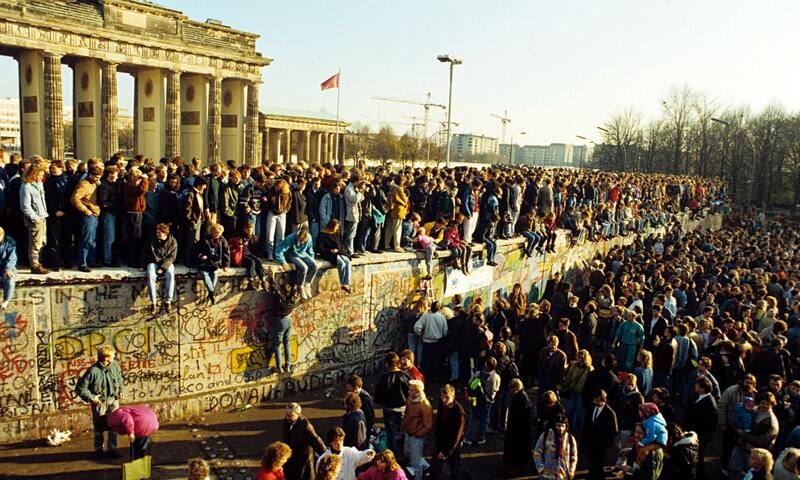 —November 9: The twenty-fifth anniversary of the fall of the Berlin Wall—I was around for that. A few months afterwards our family moved to Europe, and I took my children to East Berlin where we walked across Checkpoint Charlie and knocked down the wall ourselves. We still have a bag of the concrete from the wall in a cabinet in our home; the most artistic slabs with colored graffiti we mounted under plexiglas and shared with friends. —November 8: The tenth anniversary of the second Battle of Fallujah is very personal. We had a son at the front of that battle who survived and is still processing the impact on him and his friends and the country. He has developed into a beautiful writer who tells and has published his own essays and stories. His first novel Green on Blue will be published by Scribner’s this February. Not noted as widely at the time ten years ago were the battles of the civil war in the Ivory Coast. During the Battle of Fallujah I was with African PEN centers in Dakar, Senegal planning a PEN Congress. The headlines on the front pages there were from the Ivory Coast, not Iraq. My heart at the time was stretched across continents. In quiet moments I can still feel…or is it hear?…this beating of the heart. —And finally this fall celebrated the fiftieth anniversary of my own high school graduation—an unexpected gathering of friends, most of whom I hadn’t seen in a quarter and some in half a century. We found the friendship and goodwill were what had lasted, had roots and still flourished among us. This flowering and expanding of life and the heart is what I take away. The walls that fall between us are still challenged by the battles fought among us. History repeats or teaches. There are no simple lessons, but to the extent we find ways to break down the walls and end the battles, we hope. Hope after all is still a threshold of history.